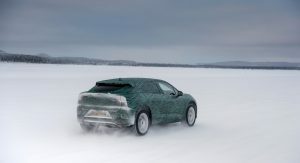 Jaguar has released new details about the I-Pace ahead of its debut on March 1st. 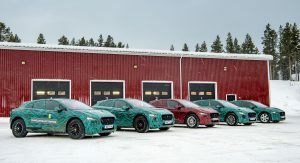 Set to become the company’s first electric vehicle, the I-Pace aims to be the “perfect every day car – whether on the school run, daily commute or even coping with sub-zero temperatures.” Speaking of the latter, Jaguar says the model was extensively tested at their cold weather facility in Arjeplog, Sweden where temperatures hit lows of -40°C (-40°F). 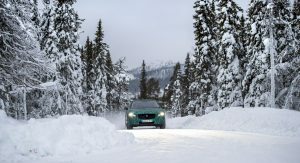 In order to deal with the extreme temperatures, the I-Pace has been equipped with a pre-conditioning system which helps to ensure the vehicle can achieve its maximum range and performance. 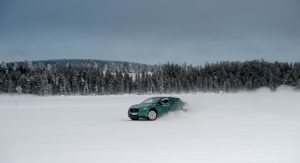 Jaguar says owners will be able to setup preferred charging times and pre-conditioning schedules from either the InControl infotainment system or a smartphone app. 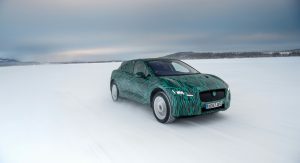 Thankfully owners won’t have to wait very long as Jaguar has revealed the model will have a rapid charging system that can deliver an 80 percent charge in 45 minutes or less. 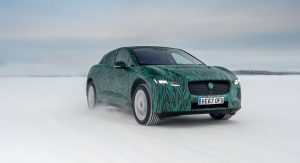 Jaguar declined to release additional specifications but the I-Pace concept had a 90 kWh battery and an electric powertrain that produced 400 PS (294 kW) and 700 Nm (516 lb-ft) of torque. 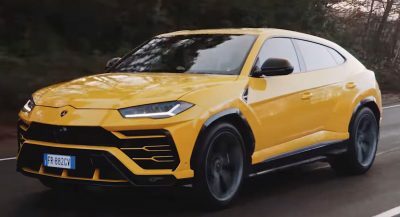 This enabled the model to accelerate from 0-60 mph in approximately four seconds and travel more than 500 km (310 miles) on a single charge in the NEDC cycle. 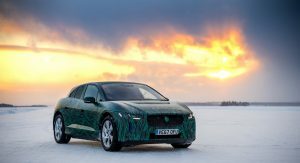 Reports have suggested the I-Pace will be offered in four different trims with the entry-level I-Pace S featuring LED headlights, a Meridian audio system, and 18-inch alloy wheels. 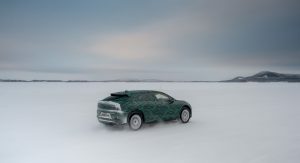 The range-topping I-Pace First Edition packs on the luxury features as it is slated to have leather upholstery, heated seats, a panorama glass roof, and a head-up display – among other things. 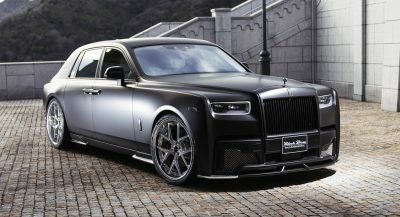 Pricing will be announced at the model’s unveiling and U.K. customers will be able to submit their orders following the event. …would you like to expand on that vague question? Nobody can answer your question until the model is actually on sale. Low maintenance like all EV’s. But it’s obviously not out to say. Derp. 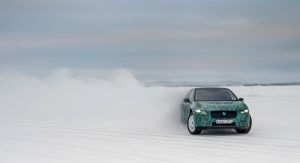 JLR are not renowned for the electronic reliability, hopefully it will set a new trend. Well, we will see whether or not Jaguar’s claims hold any water once the I Pace go into production. Also, I really do think we need a standardized charging infrastructure in light of all these new EVs taking to the road. Tesla has said countless of times that if anyone wants to use their Supercharger network they can talk. But no one else has been serious about EV’s… until now… all of the sudden. Well that would be good, but yeah we never knew, technology licensing could be expensive but let’s just wish for the best. “standardized charging infrastructure” – this is a must. It is absurd to look for the charging station for your type of system. It should be like in a mobile phones. Imagine the additional time one must add to every lengthy business trip? Currently, a fuel stop in busy periods can be 10 -15 minutes without refreshment, with this technology, anywhere up to an hour will be required as you wait for a free power station, plus charge time? It won’t always coincide with lunchtime, but worse still, how long will it take to charge a truck rig full of supermarket goods? Good old raving inflation could be back because of extended journey times, and limited driver hours, plus an 80% increase in the purchase price for the electric truck!!! And you know who’s going to pay? Yes it will take longer, but much less maintenance downtime. Also it’s usually faster to do a lot of short charges than doing bigger refills at each stop. 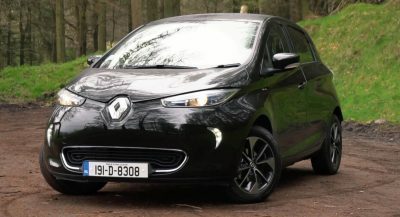 Initially, I believe many companies with drivers doing high mileage will hold off buying electric, due simply, to time and possibly purchase or lease cost? I’m sure once enough electric stations are built and advanced battery development gets charging time considerably lower, electric vehicles will become commonplace, and ultimately, a primary source of power. Remember mobile phone standard didn’t appear in 1 day… And it’s not even there yet, Apple vs… RoW. Even households electric plugs or voltage are not even standardized globally after all. I did a few years in the downstream Oil & Gas business and my guess for the lack of investment infrastructure comes from the fact that they do not own most of their stations but rather have contracts with local owners or convenience stores. If the market is heading towards EV, drivers will head towards stations which have convenience stores (given the 45 min charging time) attached to the station. 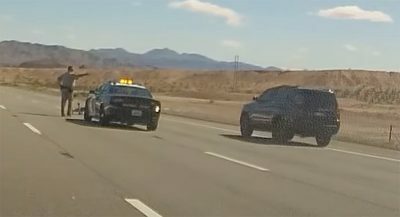 Tesla or any other manufacturer should deal with them ! Companies like BP, Shell or even car manufacturers would need to big of an investment for vertical integration before thinking to offer power stations full scale. The investment should come from retail companies as they would be the biggest winners. The price is still quite expensive, but again they are gunning for Tesla but I hope more affordable electric cars like Leaf and Bolt would be more readily available. It’s their first EV. Any first iteration of a new technology is not going to be readily affordable until economies come to scale. Cool, but not as cool as getting a 100% fill up in 3min. Yup, my biggest issue with batteries is not the range, but rather the recharge time. Until tech develops that will allow an 80% recharge in under 10 minutes, I won’t be going electric. That’s what the 350 kW ultra-fast charging network which is under construction for. That’s enough to recharge about 400 km’s worth of range in under 15 mins. If you don’t need to buy anything, eat, drink or go to toilet in the meanwhile then you can also just charge 10 mins, get 250 km’s worth of range and stop for food later on. I don’t think there is a real need for even quicker charging times. So, Jags figures are disappointing, Tesla already chargers quicker with the Superchargers, and the Germans will be using 350 kW chargers. I guess the issue is a regionalised one. In South Africa, for domestic use, you pay aggressively more the more electricity you use. So I would not want to plug in my car every night, I’d rather go the the recharge station where I can do that once a week. And for that I’d need a 10 minute charge at most. Electric cars have software controlled charging, so if you want your car to top up at 60%, it won’t use any more electricity from the grid. Also in South Africa I would definitely install solar panels if I was to buy an electric car. If the situation is like you describe then why more than 10 mins is a problem. If I have to charge once a week it really doesn’t bother me at all. I can wait for 30-40-60 minutes during the weekends. For example I spend like 30-40 minutes each weekend when I wash my car. How is this different in terms of waste time. What, you go to a filling station and spend 40 minutes there, after waiting in a queue? Life’s too busy to just sit around like that doing NOTHING! PS and off topic: In Cape Town, we are experiencing the worst draught in history. 50L of water a day per person, which includes toilet flushes and laundry. So no car wash! That’s why you charge at home in your garage. Uhm, did you not read what I said above? To charge every night will push electrcity consumption in my country to an unaffordable rate. Glossy marketing images of camouflaged vehicles. The humanity. I prefer getting an 100% full tank in 3 minutes. Wake me up when there’s an electric car with a range of 1000 km that can be fully charged in around 5 minutes. Then I might be interested.